Laurite: Mineral information, data and localities. Named by Wöhler as a compliment to the wife of a personal friend: for Laura R. Joy, wife of Charles A. Joy, American chemist, Columbia University, New York City, USA. Pyrite Group. 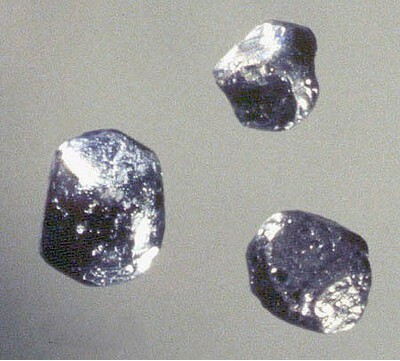 Erlichmanite-Laurite Series. Compare 'UM1965-11-S:IrOsRu', 'UM1978-15-S:IrOsPtRhRu' and 'UM1978-18-S:IrOsRu'. Spinel 7 photos of Laurite associated with Spinel on mindat.org. Osmium 4 photos of Laurite associated with Osmium on mindat.org. Clinochlore 4 photos of Laurite associated with Clinochlore on mindat.org. Hollingworthite 3 photos of Laurite associated with Hollingworthite on mindat.org. Isoferroplatinum 3 photos of Laurite associated with Isoferroplatinum on mindat.org. Irarsite 3 photos of Laurite associated with Irarsite on mindat.org. Ruthenium 2 photos of Laurite associated with Ruthenium on mindat.org. Pentlandite 2 photos of Laurite associated with Pentlandite on mindat.org. Pyrite 2 photos of Laurite associated with Pyrite on mindat.org. Kashinite 1 photo of Laurite associated with Kashinite on mindat.org. Wöhler (1866) Ges. Wiss. Göttingen, Nachr. : 155. Wöhler (1869) Ges. Wiss. Göttingen, Nachr. : 327. Palache, Charles, Harry Berman & Clifford Frondel (1944), The System of Mineralogy of James Dwight Dana and Edward Salisbury Dana Yale University 1837-1892, Volume I: Elements, Sulfides, Sulfosalts, Oxides. John Wiley and Sons, Inc., New York. 7th edition, revised and enlarged: 291-292. American Mineralogist (1969): 54: 1330-1346. Mineralogical Magazine (1983): 47: 465. Brown, A. V., Page, N. J., and Love, A. H. (1988). Geology and platinum-group-element geochemistry of the Serpentine Hill Complex, Dundas Trough, western Tasmania. Canadian Mineralogist 26, 161-175. Min.& Pet. 73:247-277; Kollegger, P., Mogessie, A. & Mali, H. (2008): Geochemie und Vererzung im Kraubath-Massiv, südöstlich von Kraubath an der Mur, Steiermark, Österreich. Joannea Mineralogie 4, 53-97. In the collection of Brent Thorne. 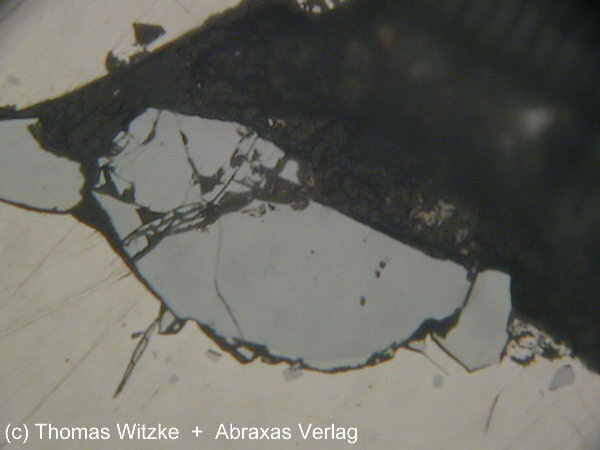 Microprobe analyzed by Cureton Minerals. Can.Rockhound v.3, no.2; Hulbert, L. J., Duke, J. M., Eckstrand, O. R., Lydon, J. W., Scoates, R. F. J., Cabri, L. J., & Irvine, T. N. (1998) Geological Environments of Platinum Group elements. Geological Survey of Canada, Open File 1440. Natural Resources Canada. Prichard, H. M. and Lord, R. A. (1990) 'Platinum and palladium in the Troodos ophiolite complex, Cyprus', Canadian Mineralogist, 28 (3), pp.607-617. Augé, T. (1988). Platinum-Group Minerals in the Tiébaghi (New-Caledonia) and Vourinos (Greece) Ophiolites. In Geo-Platinum 87 (pp. 405-405). Springer Netherlands. Cristiano Ferraris, Jean-Pierre Loran (2015) Novodneprite (AuPb3), anyuiite [Au(Pb, Sb)2] and gold micro- and nano-inclusions within plastically deformed mantle-derived olivine from the Lherz peridotite (Pyrenees, France): a HRTEM–AEM–EELS study. Physics and Chemistry of Minerals, Vol 42, Issue 2 (February 2015), 143-150. Garuti, G., Zaccarini, F., and Economou-Eliopoulos, M. (1999): Mineralium Deposita 34, 312-319. Auge, T. (1985). Platinum-group-mineral inclusions in ophiolitic chromitite from the Vourinos Complex, Greece. The Canadian Mineralogist, 23(2), 163-171.; Garuti, G. and Zaccarini, F. (1997) In situ alteration of platinum-group minerals at low temperaturte: evidence from serpentinized and weathered chromitite of the Vourinos complex, Greece. Canadian Mineralogist: 35: 611-626. Mining Annual Review (1985): 502.; Auge, T. (1985). Platinum-group-mineral inclusions in ophiolitic chromitite from the Vourinos Complex, Greece. The Canadian Mineralogist, 23(2), 163-171.; Garuti, G. and Zaccarini, F. (1997) In situ alteration of platinum-group minerals at low temperaturte: evidence from serpentinized and weathered chromitite of the Vourinos complex, Greece. Canadian Mineralogist: 35: 611-626.; Kapsiotis, A., Grammatikopoulos, T. A., Zaccarini, F., Tsikouras, B., Garuti, G., & Hatzipanagiotou, K. (2006). Platinum-group mineral characterisation in concentrates from low-grade PGE chromitites from the Vourinos ophiolite complex, northern Greece. Applied Earth Science: Transactions of the Institutions of Mining and Metallurgy: Section B, 115(2), 49-57. Garuti, G. and Zaccarini, F. (1997) In situ alteration of platinum-group minerals at low temperaturte: evidence from serpentinized and weathered chromitite of the Vourinos complex, Greece. Canadian Mineralogist: 35: 611-626.; Kapsiotis, A., Grammatikopoulos, T. A., Zaccarini, F., Tsikouras, B., Garuti, G., & Hatzipanagiotou, K. (2006). Platinum-group mineral characterisation in concentrates from low-grade PGE chromitites from the Vourinos ophiolite complex, northern Greece. Applied Earth Science: Transactions of the Institutions of Mining and Metallurgy: Section B, 115(2), 49-57. Nachr.Ges.Wissensch. Göttingen (1866) 155-160; Anthony, Bideaux, Bladh, Nichols: "Handbook of Mineralogy", Vol. 1, 1990; Deans, T., & Phillips, R. (1983). The chemistry, reflectance, and cell size of the erlichmanite (OsS2)-laurite (RuSO series. Mineralogical Magazine, 47, 465-71.; Coggon, J. (2010). Application of the 190Pt-186Os isotope decay system to dating platinum-group minerals (Doctoral dissertation, Durham University). ; Bowles, J. F. W., Atkin, D., Lambert, J. L. M., Deans, T., & Phillips, R. (1983). The chemistry, reflectance, and cell size of the erlichmanite (OsS2)–laurite (RuS2) series. Mineralogical Magazine, 47(345), 465-471. K.H. Hattori et al. , Mineralogical Magazine , 56, 1992, pp. 156-164. Hattori, K., Burgath, K. P., & Hart, S. R. (1992). Os-isotope study of platinum-group minerals in chromitites in Alpine-type ultramafic intrusions and the associated placers in Borneo. Mineralogical Magazine, 56(383), 157-164. K.H. Hattori et al. , Mineralogical Magazine , April 2004, V68, N°2, pp. 353-368. Ismail, S. A., Mirza, T. M., & Carr, P. F. (2010). Platinum-group elements geochemistry in podiform chromitites and associated peridotites of the Mawat ophiolite, northeastern Iraq. Journal of Asian Earth Sciences, 37(1), 31-41. Zaccarini, F., Meisel, T., Thalhammer, O., & Garuti, G. (2005). The Finero chromitites (Ivrea Zone, Italy): evidence for metasomatism in a mantle plume. Poster session presented at Platinum 10th International Platinum Symposium, Oulu, Finnland, . ⓘ Teshio gold-PGM placers ? Urashima, Y., & Wakabayashi, T. (1972). 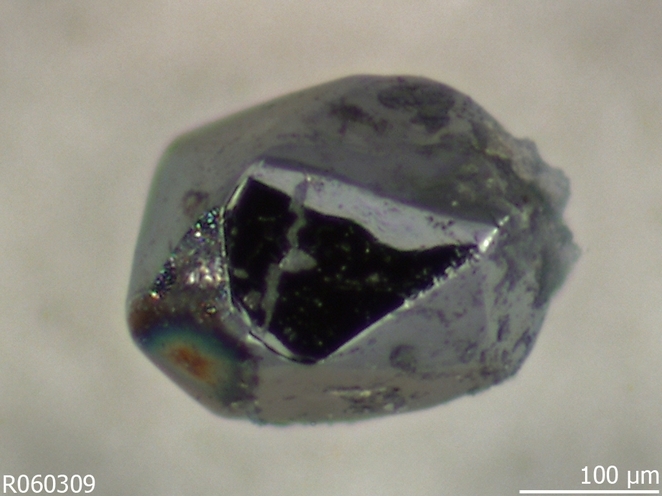 Mineral compositions of placer platinum from Teshio in Hokkaido, Japan(Quantitative analysis and identification of chemical properties of minerals in Japanese placer platinoids). Kagoshima Daigaku Rika Hokoku,(Kagoshima), (21), 119-135. González-Jiménez, J. M., Proenza, J. A., Martini, M., Camprubí, A., Griffin, W. L., O'Reilly, S. Y., & Pearson, N. J. (2015). Deposits associated with ultramafic–mafic complexes in Mexico: the Loma Baya case. Ore Geology Reviews. Augé, T., Morin, G., Bailly, L., & Serafimovsky, T. (2017). Platinum-group minerals and their host chromitites in Macedonian ophiolites. European Journal of Mineralogy, 29(4), 585-596. Tolstykh, N.D., Sidorov, E.G., Laajoki, K.V.O., Krivenko, A.P., and Podlipskiy, M. (2000): Canadian Mineralogist: 38: 1251-1264. Pekov, I. (1998) Minerals First discovered on the territory of the former Soviet Union 369p. Ocean Pictures, Moscow; Okrugin, A. V. (2011). Origin of platinum-group minerals in mafic and ultramafic rocks: from dispersed elements to nuggets. The Canadian Mineralogist, 49(6), 1397-1412. 9th International platinum symposium Chromite-PGE mineralization in the Uktus Alaskan-Type Complex (Central Urals,); (2014) 12th International Platinum Symposium p283; Garuti, G., Pushkarev, E. V., Zaccarini, F., Cabella, R., & Anikina, E. (2003). Chromite composition and platinum-group mineral assemblage in the Uktus Uralian-Alaskan-type complex (Central Urals, Russia). Mineralium Deposita, 38(3), 312-326.; Zaccarini, F., Pushkarev, E., Garuti, G., Krause, J., Dvornik, G. P., Stanley, C., & Bindi, L. (2013). Platinum-group minerals (PGM) nuggets from alluvial-eluvial placer deposits in the concentrically zoned mafic-ultramafic Uktus complex (Central Urals, Russia). European Journal of Mineralogy, 25(4), 519-531. Seltmann, R., Soloviev, S., Shatov, V., Pirajno, F., Naumov, E., & Cherkasov, S. (2010). Metallogeny of Siberia: tectonic, geologic and metallogenic settings of selected significant deposits*. Australian Journal of Earth Sciences, 57(6), 655-706; Kojonen, K., Zaccarini, F., & Garuti, G. (2003, April). First finding of native gold in the chromitites of the Ray-Iz ophiolitic complex, Polar Urals. In EGS-AGU-EUG Joint Assembly (Vol. 1, p. 8352). Anthony, Bideaux, Bladh, Nichols: "Handbook of Mineralogy", Vol. 1, 1990; Econ Geol (1986) 81:1278-1285; Bowles, J.F.W. (2000): Mineralium Deposita 35, 583-586. Oberthür, T., Melcher, F., Sitnikova, M., Rudashevsky, N. S., Rudashevsky, V. N., Cabri, L. J., ... & Gast, L. (2008). Combination of novel mineralogical methods in the study of noble metal ores–focus on pristine (Bushveld, Great Dyke) and placer platinum mineralisation. In Ninth International Congress for Applied Mineralogy ICAM (pp. 187-194). ; Melcher, F., & Lodziak, J. (2007). Platinum-group minerals of concentrates from the Driekop platinum pipe, Eastern Bushveld Complex Tribute to Eugen F. Stumpfl. Neues Jahrbuch für Mineralogie-Abhandlungen: Journal of Mineralogy and Geochemistry, 183(2), 173-195. Wilson, W. E. (2010): Sperrylite from the Tweefontein Farm, Limpopo Province, South Africa. Mineralogical Record. 41, 147-155; Zaccarini, F., Garuti, G., and Cawthorn, R.G. (2002) Platinum-group minerals in chromitite xenoliths from the Onverwacht and Tweefontein ultramafic pipes, eastern Bushveld Complex. Canadian Mineralogist: 40: 481-497. R.O. Meyer collection, identity confirmed by microprobe analysis; Prichard, H. M., Barnes, S. J., Maier, W. D., & Fisher, P. C. (2004). Variations in the nature of the platinum-group minerals in a cross-section through the Merensky Reef at Impala Platinum: Implications for the mode of formation of the reef. The Canadian Mineralogist, 42(2), 423-437. Brynard, H. J., De Villiers, J. P. R., & Viljoen, E. A. (1976). A mineralogical investigation of the Merensky Reef at the Western Platinum mine, near Marikana, South Africa. Economic Geology, 71(7), 1299-1307. N. Jb. Mineral. 185 (2009) 323-333; Uysal, I., Sadiklar, M. B., Tarkian, M., Karsli, O., & Aydin, F. (2005). Mineralogy and composition of the chromitites and their platinum-group minerals from Ortaca (Muğla-SW Turkey): evidence for ophiolitic chromitite genesis. Mineralogy and petrology, 83(3-4), 219-242.; Uysal, İ., Tarkian, M., Sadiklar, M. B., Zaccarini, F., Meisel, T., Garuti, G., & Heidrich, S. (2009). Petrology of Al-and Cr-rich ophiolitic chromitites from the Muğla, SW Turkey: implications from composition of chromite, solid inclusions of platinum-group mineral, silicate, and base-metal mineral, and Os-isotope geochemistry. Contributions to Mineralogy and Petrology, 158(5), 659-674. A G Gunn, R C Leake and M T Styles (1985) Platinum-group element mineralisation in the Unst ophiolite, Shetland British Geological Survey Mineral Reconnaissance report 73; Prichard, H. M., & Tarkian, M. (1988). Platinum and palladium minerals from two PGE-rich localities in the Shetland ophiolite complex. The Canadian Mineralogist, 26(4), 979-990. Power, M. R., & Pirrie, D. (2004). Platinum-group minerals within the Ballantrae Complex, SW Scotland. Scottish Journal of Geology, 40(1), 1-5. Power, M. R., & Pirrie, D. (2000). Platinum-group element mineralization within ultramafic rocks at Corrycharmaig, Perthshire: implications for the origin of the complex. Scottish Journal of Geology, 36(2), 143-150. Anthony, Bideaux, Bladh, Nichols: "Handbook of Mineralogy", Vol. 1, 1990; Canadian Mineralogist: 22: 543-552. Pemberton, H. Earl (1983), Minerals of California: 39 & 44, 63.; Snetsinger, K.G. (1971b) Erlichmanite (OsS2), a new mineral. American Mineralogist: 56: 1501-1506. Econ Geol (1986) 81: 1261-1271. Economic Geology (1986): 81: 1261-1271. Sjoberg, J. and Gomes, J.M. (1980) Platinum-group minerals in California alluvial deposits. US Bureau of Mines, Reno Research Center, unpublished manuscript: 15; Pemberton, H. Earl (1983), Minerals of California; Van Nostrand Reinholt Press: 64.
ⓘ Unnamed Chromite prospect  ? Robert C. Smith, II, Ph.D, P.G. Bart Cannon (Cannon Microprobe) analysis # MR 5-3.; Bart Cannon (Cannon Microprobe, Seattle) analysis # MA121,695-2. Stockman, H.W., and Hlava, P.F. (1984): Economic Geology 79, 491-508. Chusi Li, Ripley, E.M., Oberthür, T., Miller, Jr., J.D., and Joslin, G.D. (2008): Mineralium Deposita 43, 97-110.; Allan H. Wilson and Martin D. Prendergast (2001) Platinum-Group Element Mineralisation in the Great Dyke, Zimbabwe, and its Relationship to Magma Evolution and Magma Chamber Structure. South African Journal of Geology, 104:319-342; LIU, J., JIN, S. and WANG, Y. (2014), The Occurrence of Useful Components in Platinum-Palladium Deposit in the Great Dyke, Zimbabwe. Acta Geologica Sinica, 88: 1466–1467; Oberthür, T., Weiser, T. W., Gast, L., & Kojonen, K. (2003). Geochemistry and mineralogy of platinum-group elements at Hartley Platinum Mine, Zimbabwe. Mineralium Deposita, 38(3), 327-343.